You Are Here:The Arbalest Quarrel Article AS TRAGEDY STRIKES MARJORY STOMEMAN DOUGLAS HIGH SCHOOL, ANTIGUN ACTIVISTS SHAMEFULLY ENLIST STUDENTS TO CARRY OUT THE ANTIGUN AGENDA. With the latest shooting tragedy—this one at Marjory Stoneman Douglas High School in Parkland, Florida—antigun groups wasted little time in singling out a culprit—the AR-15 5.56 NATO / 223 semiautomatic rifle. The mainstream media quickly echoed the sentiment of antigun groups and their fellow travelers in Congress: if Government would just confiscate guns from the civilian population, commencing with semiautomatic “assault weapons,” society would be better off for it and all would be right with the world. In the hysteria of the moment, it is considered anathema to counter this sentiment or to question the underlying assumption. Banning civilian ownership and possession of firearms is proclaimed as a surefire panacea to preventing gun violence. It is recited as a categorical imperative; an irrefutable truth. But is it? Lost in any discussion about gun violence is any mention of one obvious and incontrovertible fact: that the tragedy at Marjory Stoneman Douglas High School would not have happened—could not have occurred—if the School Administration had simply instituted a multilayered set of strategies to harden the school against security breaches. It didn’t. The result, while horrific, cannot and should not be construed as altogether unexpected and inexplicable in the peculiar age we live in. It is an age marked by broken homes and social alienation. It is an age beset by the rupture of core values and the seeding of a new ethos consisting of a hodgepodge of unassimilable multicultural influences, including multilingualism, and moral relativism; a hollowing out of sacred traditions, the denigration of basic Christian virtues, and a perfunctory attitude of indifference over the important role of the traditional nuclear family in shaping young lives: extolling the importance of self-reliance, personal integrity, and courage in dealing with adversity; promoting a love of Country, respect for our National heritage, and instilling a code of morality and a strong work ethic in our children. This is, unfortunately, an age that seeks out and relishes instant gratification. It is an age that redefines anomalous gender diversity and gender dysphoria as a social preference, a life choice, rather than the psychiatric disorder, which it really is. We live in an age of rampant exploitation of and, indeed, promotion of human weakness, that becomes ever easier through advances in technology and communication. We see an endless parade of new, ever more violent, hyper-realistic video games. We see a continuous procession of cinematic “treats” of gratuitous violence offered up by Hollywood moguls, ever willing to exploit and reinforce the public appetite for on-screen depictions of violence and carnage—all to turn a profit. And we see the blatant hypocrisy of Hollywood actors—highly paid individuals who take pride in their onscreen portrayals of psychotic and psychopathic killers, as they engage in over-the-top murderous sprees; pretending to be adept in the use of the firearm props they are taught to handle deftly for the roles they play onscreen. And, then we see these same actors sanctimoniously denouncing guns off-screen, and denouncing, too, the millions of law-abiding citizens who choose to exercise their Constitutional right to own and possess guns for the very real purpose of self-defense—hardly play acting. WHO OUGHT RIGHTFULLY BE BLAMED FOR THE TRAGEDY AT MARJORY STONEMAN DOUGLAS HIGH SCHOOL? Accusations are flying fast and loose as to whom bears responsibility for the cause of the tragedy. Lest the public forget—over the hailstorm of accusations flying hither and yon—the fact remains that blame for the tragedy falls, first and foremost, on the killer, himself, Nikolas Cruz. This sad, deranged young adult bears ultimate responsibility for the horror inflicted on innocent lives he lashed out against in his mindless rage. But, there are others in the cast of characters that bear a share of the responsibility. The Florida Department of Education and the Superintendent of Broward County Public Schools must share in the responsibility for failing to harden Florida schools against armed intrusions. And, the Governor of the State bears more than a modicum of responsibility for failing to secure schools against armed assault. And, through failure to heed warnings of the real threat posed by the Nikolas Cruz, the FBI, and Florida State and local Police must share in that responsibility. The other day the public learned that an armed Broward County Sheriff’s Deputy, who was assigned to Marjory Stoneman Douglas High School, cowered outside the School, as the killer stalked the halls inside, undeterred. This unnamed Sheriff’s Deputy displayed abject cowardice. Had he steeled himself, as he was trained to do, as he was purportedly psychologically predisposed to do, he would have certainly prevented the loss of many lives; perhaps he could have prevented the loss of any innocent life, had he acted. WHO DO ANTIGUN GROUPS WRONGLY BLAME FOR THE TRAGEDY AT MARJORY STONEMAN DOUGLAS HIGH SCHOOL? Antigun activists, antigun politicians, and antigun journalists and news commentators blame, of course, the gun—an inanimate object—as if the gun itself had walked into the school and commenced shooting innocent high school students and teachers. They always do, but this accusation against the gun is ludicrous on its face. Antigun activists also cast blame on the NRA and on the Second Amendment, refusing to accept the fact that tens of thousands of American citizens defend themselves and their families with firearms every year. 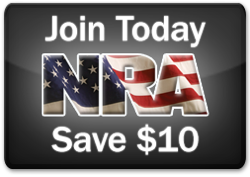 NRA IS THE PREMIER CIVIL RIGHTS ORGANIZATION. ANTIGUN GROUPS NOW USE HIGH SCHOOL STUDENTS TO PROMOTE THEIR INSIDIOUS ANTI-AMERICAN AGENDA. A new tactic of antigun groups and of their billionaire internationalist EU benefactors involves the recruitment of and exploitation of teenagers as message boards. Taking their cue from cosmetic and clothing companies that hire models to hawk their products to the public, antigun groups realized they could employ articulate, photogenic students from Marjory Stoneman Douglas High School, and from other schools, to promote their agenda. We may see these groups using this technique more in the future. They know that no one would dare challenge young adults. Clearly, these students did not simply voice outrage at gun violence spontaneously. They have been carefully coached. How do we know this? Consider what they are saying. They are using phraseology and sloganeering of the antigun activists, of antigun politicians, of antigun media personnel: referring to AR-15 semiautomatic rifles as “weapons of war;” calling for “background checks;” telling the American public to vote pro-Second Amendment legislators out of Office; attacking the “Gun lobby.” They aren’t simply speaking for themselves; they are puppets of antigun political activists and of the wealthy, secretive internationalist benefactors that bankroll antigun groups and antigun legislators. Ruthless forces both here and abroad seek to undermine this Nation’s Second Amendment. They have their own agenda and they see, in these students, a useful tool to be manipulated in efforts to destroy the right of the people to keep and bear arms. Doubtless, the words uttered sound fresh and heartfelt and emphatic, even if there is really nothing new about the messages. These students would not be compelling spokespersons for antigun activists if that were not true. But the messaging derives from antigun group sponsors, not from the students. There is a sophistication in the organization of these students that cannot be reasonably explained away as an impromptu effort by students themselves. These students are dupes for a cause that has nothing to do with the students’ personal safety and well-being and has everything to do with the undermining of our sacred rights and liberties. These students might reflect upon this before allowing themselves to be employed for an agenda that is not their own. But, then, these young adults are in shock. That makes use of these young people by antigun activists even more reprehensible. ALERT: CONTACT YOUR REPUBLICAN CONGRESSIONAL REPRESENTATIVES NOW. Tell your representatives they must not bow to antigun activist pressure to reinstate semiautomatic weapons and LCM bans.